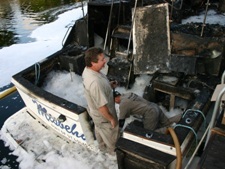 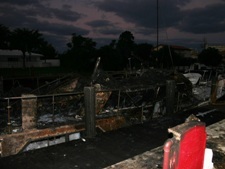 The vessel was fully engulfed in flames at its home dock. 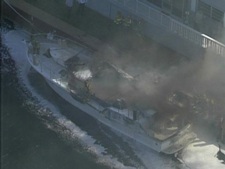 TowBoatU.S. 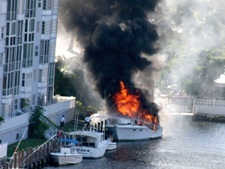 Ft. Lauderdale responded to the casualty. 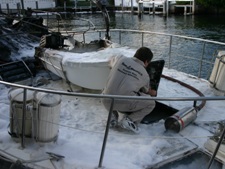 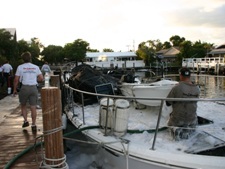 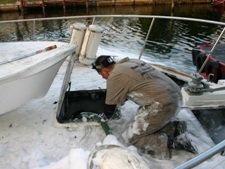 After Ft. Lauderdale Fire Rescue extinguished the fire and deemed it safe the crew began to work. 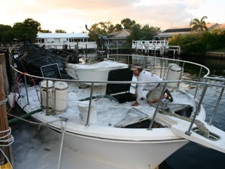 The foam left behind from the fire fighting was removed and containment boom was deployed around the casualty to contain any pollutants. 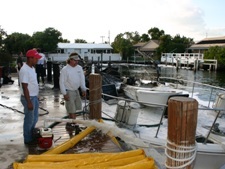 Divers were deployed to plug all holes before TowBoatU.S. 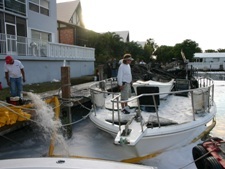 towed the casualty to a haul out facility.